This is Horizontal Type Ladle Pre heater for 8 T Bottom Pouring Ladle ( for CCM Project ) exported through our Client M/S Auditra Engineering Co Pvt Ltd, Mumbai. 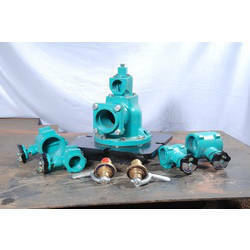 Ladle Pre heater consist of One Set of Diesel fired Burner with control accessories, Blower, Pumping Unit with Battery Pipe Line. Auto Ignition System, Firing Control System, Auto Shutdown System etc. We also providing Dual Burner ( for Diesel, LDO or Diesel, LPG or Natural Gas ) and Gas Fired Burner against specific order by customer. 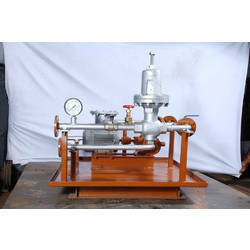 This is Called Pumping Unit which is used in Diesel Firing System, one of the part in Ladle Pre Heater arrangement and also used in Sand Drier Firing System Also. 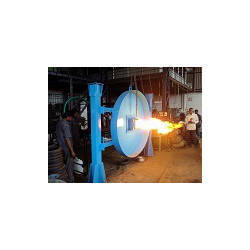 These Burners are used in Ladle Pre Heater Arrangement, Sand Drier and also in Heat Treatment Furnace. 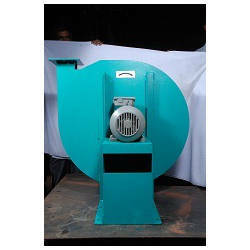 These Blowers are used in Ladle Pre Heater Arrangement, Sand Drier and also Heat Treatment Furnace to fire the media. Looking for Ladle Pre Heaters ?